Greetings! We applaud your genuine interest to discover Bible teaching about issues very important to us all. We warmly welcome you, and invite you to explore this site. If you cannot find what you are looking for, let us know. Hi. 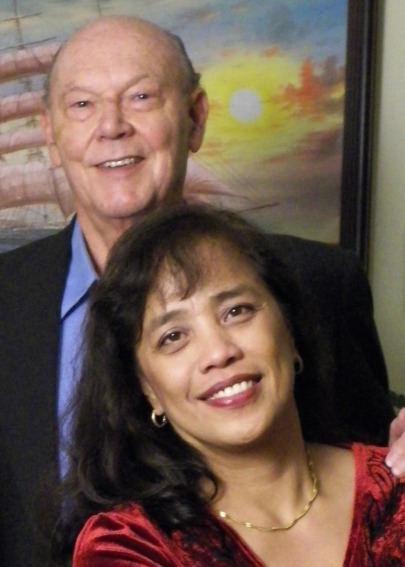 I am Willis Newman, and with my wife, Esmeralda (Esmie for short), we are the creators behind Bible-teaching-about.com. We are motivated out of our desire to glorify God by doing our part in fulfilling the Great Commission of Jesus Christ as God leads, empowers, and provides us the resources and opportunities (Matthew 28:18-20). More specifically, our mission breaks down into three parts: literature (writing), training and education, and supporting missionaries. We are Christians who are interdenominational in scope. The core values that under gird this work are to glorify God, work with integrity, put service before self, and strive for excellence. The service is to God, humanity, and to you. Now, we need to get acquainted, and let you know a little about our background. Starting with myself, my academic degrees include a B.A. (psychology), and a M.Ed. (counseling) from the University of Portland. I earned the M.Div. (pastoral studies) from then Western Conservative Baptist Seminary (Portland), and my Ph.D. (church administration) from California Graduate School of Theology. I gained the D.Min. (cross cultural studies) from Faith Evangelical Lutheran Seminary (Tacoma, WA. - USA) – now known as Faith Evangelical Seminary. I also teach there. I have been teaching at the college and seminary level for over 20 years. Courses taught include theology, Bible, counseling, leadership, communication, psychology, sociology, cross-cultural subjects, and Christian life skills. I also have counseling experience in stress, anger, and conflict management, and domestic violence issues. In addition to my teaching schedule, Esmie and I travel to various places, such as the Pacific Islands and Southeast Asia, teaching seminars. I have written more than two dozen teaching manuals and books. Finally, I grew up in Idaho on a cattle ranch, was a part time rodeo cowboy for about 10 years, and have worked in a sawmill and on heavy construction. Now, I introduce you to my lovely wife, Esmie. She grew up in metro Manila, in the Philippines, where she graduated from the University of the East with a bachelor’s degree (A.B., economics). She also earned another B.A. (business/accounting) from the University of Washington, and a M.A. in Christian ministry from Faith Evangelical Seminary and recently a M.A. in Human Services from Liberty University. Esmie served with Campus Crusade for Christ (CCC) for over 14 years in the Philippines and the South Pacific. Her service included being manager and trainer for the Great Commission Training Center (GCTC) in Manila, and regional senior woman (assistant regional director) for CCC in the Philippines. Esmie also has expertise in accounting and taxation. Presently, we team teach and conduct pastors and women development seminars in different parts of the U.S., Philippines, Liberia, and India. Combined, we have over 50 years of formal education, training, and professional experience in Christian service. Our main expertise is in cultural issues, missions, Christian counseling, leadership/management, Bible, theology, and discipleship. Perhaps you want to know what we believe. We are Christians who hold dearly to traditional, orthodox Christian beliefs, values, and theology as grounded in the Bible, and expressed by the great, historic Christian creeds and confessions. Those include the Apostles' Creed, Creed of Nicaea, Athanasian Creed, the Lutheran Augsburg Confession, Reformed Westminster Confession, the Anglican Thirty-Nine Articles, Methodist Articles fo Religion, and Baptist New Hampshire Confession. Our focus is upon the things we hold in common, and arise from Bible teaching about the basics of Christianity. With this brief introduction, it is our genuine desire to advance the Kingdom of Christ, and faithfully serve His creation and people – which includes being of help and service to you. Esmie and I appreciate your time with us. We are here to serve you. We hope you will learn and grow, and even become our partners in this Christ honoring mission.